Fill in your details below and we will let you know within 24 hours if we can get Qin to you with haste! China over 2000 years ago: Welcome to the Warring States Period! As a prince you populate the Chinese hinterland, found provinces and take remote villages into your kingdom. Whenever you succeed, you erect a magnificent pagoda there as a sign of your reign. The first player to build all his pagodas wins the game. But beware, your provinces and villages can be taken over by the other players. Then your local pagodas will be immediately torn down and replaced. Face the tactical challenge, chase down provinces and villages from other players, and build the glorious Qin Dynasty by building your last pagoda! 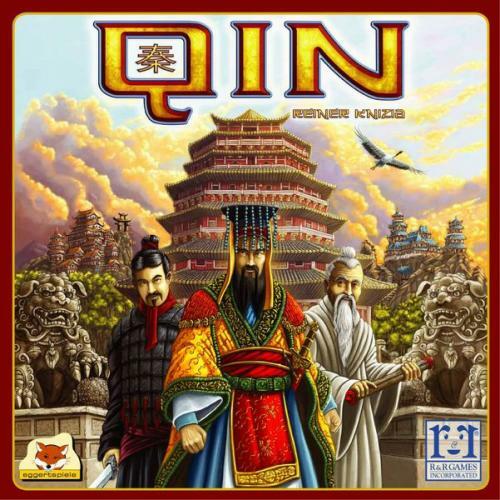 With simple rules, Qin offers a tactical pleasure for the whole family, which, thanks to its short playing time and two different game plans, invites you to an exciting revenge match.